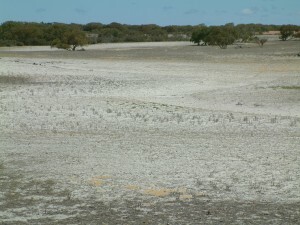 Wind erosion has historically been a big issue across the region, especially on light sandy soils like those found in the sand plain soil groups around Esperance and Albany. According to soil landscape mapping (Figure 1) approximately 25% or 7,536,044 ha is at high to extreme risk of wind erosion (DAFWA technical report 330). It is important to note however that this is the soil risk and does not take into account adoption of strategies to reduce the potential risk. The adoption of no-till technologies has greatly reduced the risk of wind erosion across WA. In high risk periods or dry conditions however the risk of erosion is still a reality. Some soil types have much greater risk, especially under cropping. These are usually highly leached infertile sands which struggle to grow a viable crop. In these circumstances other options may need to be considered. 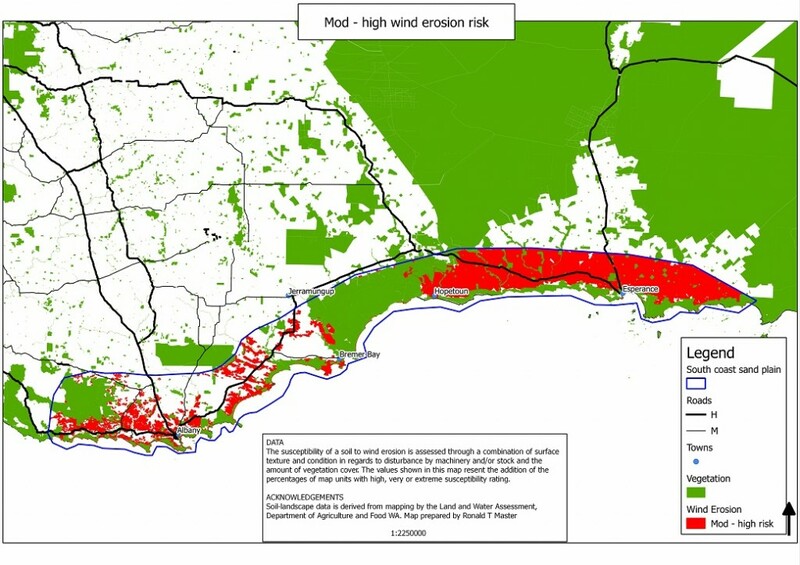 Figure 1: Areas at moderate – extreme risk of wind erosion. Wind erosion is caused by the loss of ground cover, either through poor crops and pastures or the inappropriate management of stock on susceptible soils. Loose, dry soils with less than 50% of the surface covered with non erodible material (gravel, stubble, pasture residues) will be at risk. If this occurs, winds higher than approximately 28 km/hr will start to cause saltation – the movement of fine sand gains in a short jumping or bouncing motion which mobilises more sand grains in an avalanching style increase of soil movement. Loss of ground cover can be caused by a number of factors including crop and stock management. 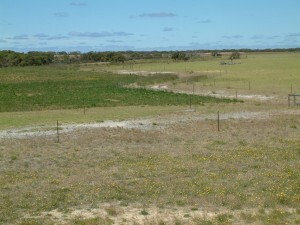 However, paddocks that are regularly affected by wind erosion may also have other underlying issues such as non-wetting soils or soil acidity which affect the establishment and growth of pastures and crops. Producers should consider these factors and whether they can be ameliorated. Ripping up paddocks under conventional tillage made even those soils less susceptible to erosion much more vulnerable. The adoption of no-till by the majority of producers has greatly reduced the risk of wind erosion on these soils. Crop residues can protect the soil from wind erosion. To be effective however at least one third must be anchored. The rest can be prostrate however this does not apply to fragile light residues like field pea straw. To provide protection there should be a minimum of 50% groundcover. 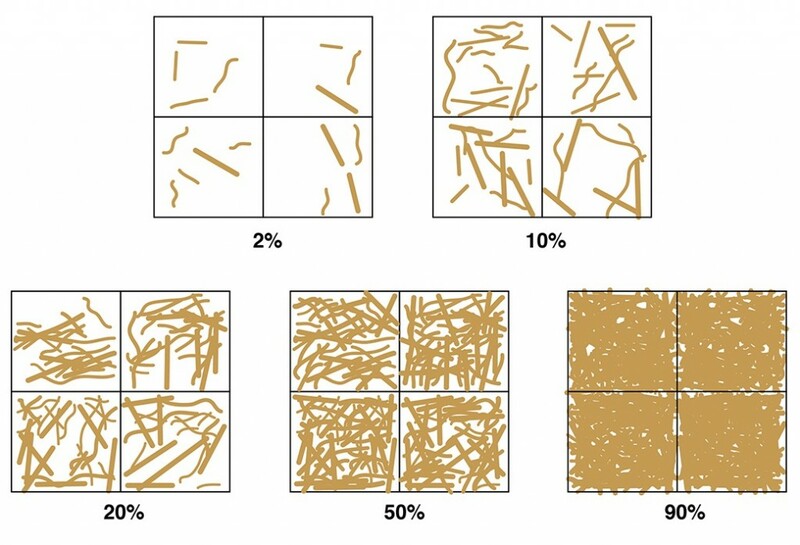 This may include rocks, gravel and crop residues (Figure 2). Although no-till cropping has greatly reduced the risk of wind erosion, it has not completely eliminated it, particularly on more vulnerable soils. Some species of perennials are particularly effective for maintaining ground cover and stabilising soil because of their growth habit, persistence and adaptability to light soils. The Albany EverGraze Proof Site was situated within the Albany Sand Plain on gravelly sand and deep sand profiles. For three of the four years of the trial, the site had well below average rainfall. This put the productivity and persistence of the sown species to the test. The three clear winners were kikuyu, panic and chicory (Figure 3). 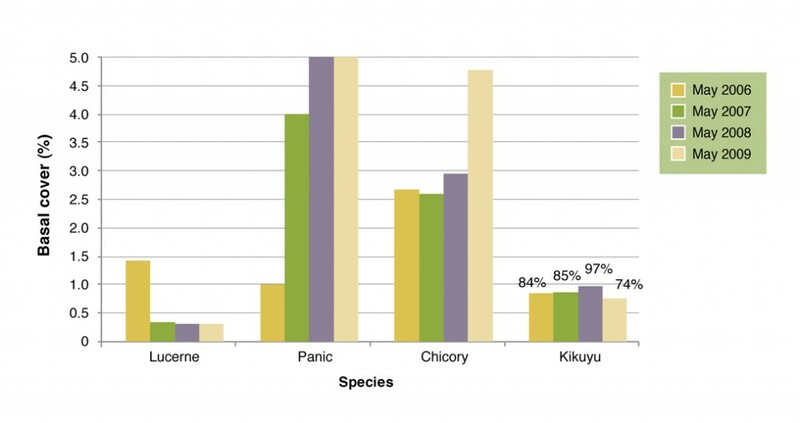 Figure 3: Basal cover (%) of lucerne, panic and chicory and kikuyu frequency at Wellstead Proof Site from 2006 to 2009. The kikuyu performed exceptionally well. It maintained a frequency of occurrence (roughly similar to % groundcover) of over 80% for three of the four years. This was despite very heavy stocking rates. This result has been replicated on many properties across the region. Examples include Daniel and Narelle Simpson at Kojunup, Erica and Phil Cleghorn in Esperence and Morgan and Debbie Sounness in Gnowellen. The panic was also impressive given the very poor deep sand it was established on. Individual plants dramatically increased in size, despite the poor soil fertility and dry conditions. The chicory was also able to increase in size and density under difficult conditions. 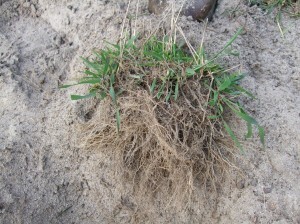 Lucerne was established but contracted to an area of sandy duplex soil and the summer active tall fescue failed to persist in the dry conditions. See the key message Kikuyu, chicory and panic persist through dry seasons for further information. See Selecting pastures for place and purpose; and Pasture establishment – how to get it right; for further information. 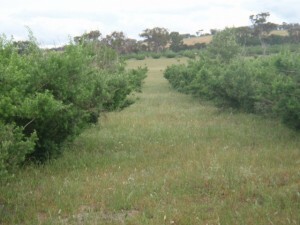 Also see South Coast WA – Pastures. Kikuyu used as a green feedlot at Albany EverGraze Proof Site, Wellstead. Annual and perennial pastures should be maintained at >50% ground cover and >1000 kg DM/ha to prevent soil loss from wind erosion. 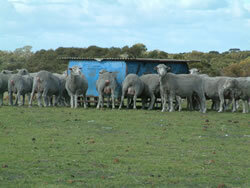 Stock should be removed from pastures and placed in containment areas when the benchmarks are reached. Late summer and autumn are the most critical times. Kikuyu pastures are particularly effective for maintaining ground cover and providing out of season green feed under heavy grazing during these times. If possible centralise watering points. Tagasaste at Barry Pearce’s property, Woogenellup. 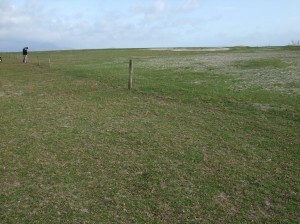 Avoid breaks in the wind break in fragile areas where jetting and subsequent erosion can occur. Ronald Master, Department of Agriculture and Food, Western Australia.